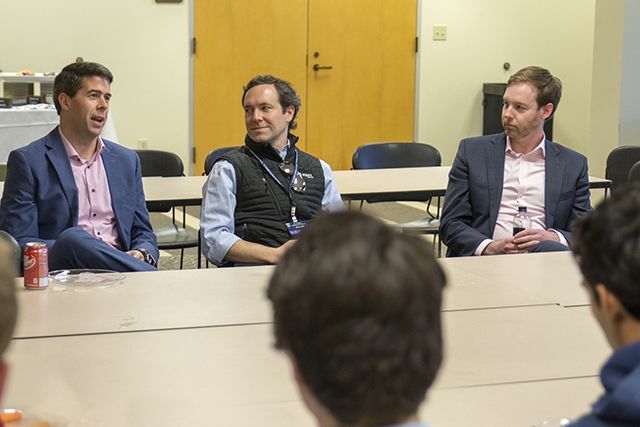 On Thursday, March 28, 2019, the Student Alumni Association hosted a conversation with B.A. 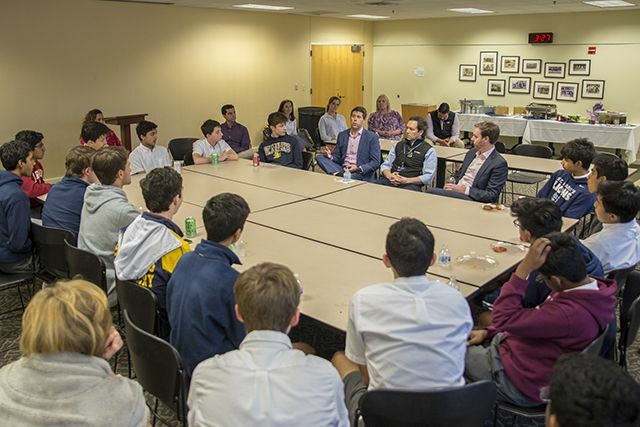 Cullum ’99, Vice President at Aspect Investors; Jake Wagner ’00, Co-CEO at Republic Property Group; and Seth Collins ’02, Assistant Vice President of Corporate Development at Vrio Corp. Talking to a room of several dozen Upper School students, the three discussed interview skills and resume building, things employers look for during the hiring process, and how to achieve success in a professional work environment. The visit is part of the St. Mark’s Alumni Association’s broader efforts to connect current students with alumni mentors and to strengthen the overall Marksman network. At the conclusion of the session, many Upper School students stayed after to ask specific questions about resume formatting and prioritizing experiences. All three panelists encouraged the students in attendance to leverage the ever-expanding Marksmen network for insight into specific career choices and how to prepare for those future interactions accordingly. Throughout the year, alumni have returned to campus regularly, providing insight and feedback to students looking to pursue similar careers. 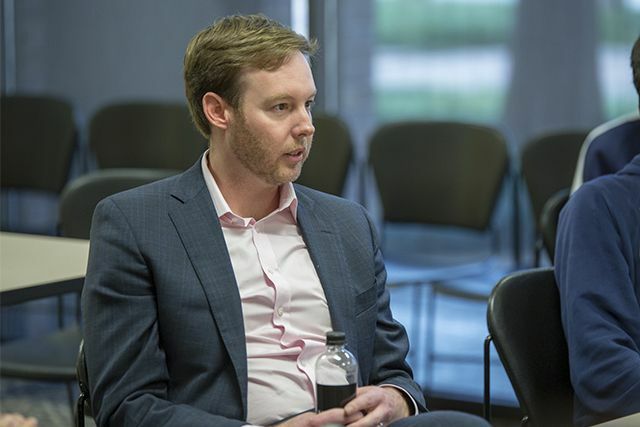 The Alumni Association’s Mentoring & Networking Committee, chaired by Jake Wagner ’00, has made this kind of interaction a priority for the School and continues to connect students with alumni mentors to guide them both as professionals and as men.